This two-story home is beautifully updated in a fabulous Southpark location. Move-in ready w/beautiful new vinyl wood-like flooring downstairs and new carpet upstairs in addition to fresh, neutral paint throughout. 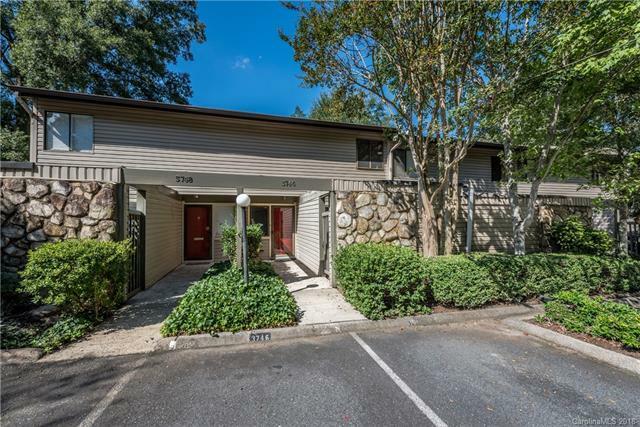 This condo offers plenty of living space along w/beautiful outdoors areas consisting of 2 separate patios and a master suite balcony. The spacious den features a fireplace and sliding doors to one of the patios. A separate, 2nd enclosed patio w/storage is conveniently located off the updated kitchenperfect for entertaining! The master suite boasts a private balcony, walk-in closet, dressing area w/vanity and attached master bath. The generous 2nd bedroom features a walk-in closet and easy access to the well-appointed hall bath. This side of the complex has two convenient entrances on Colony & Sharon View Rds. The pool is also located on this side of the complex. Walking distance to Southpark Mall, Starbucks, & all that the Southpark area has to offer!